). It seems slow to me, so I feel like I could learn it fairly quickly. However, I would also like to avoid gaining muscle memory for a single song and starting the piano learning process all over again for other songs. May I ask what is a useful approach to learning piano so I don't have to start over learning every time I finish a song, but also an approach which is not designed for training over several years? Thanks. Most piano methods are oriented around reading notation and the long path to full technical ability on the instrument. To play simple songs with basic chords and melodies you will still need to learn some basic music theory, especially relating to scales and chords and how/why they work. There are some methods and instructional materials for learning to play "pop" piano, which sounds like what you are looking for. These methods orient around being able to play chords by their name rather than by the notation, and play basic melodies in the right hand by the notation or occasionally by "ear" using the intervals. Some books I have seen are "how to play from a fake book", and "A Chord Approach to Pop Piano". I can't specifically recommend these books since I haven't used them, but it should give you an idea of what type of method you are looking for. "Fake" is a music format where the melody is a single line of notation and the chord names are written over the top where they change. You should still start with the basics and learn to read basic notation, learn your scales and arpeggios, and understand how chords are built. From there you may find it fairly easy to start playing melodies and chords for songs you know. How quickly you are able to play basic songs is only limited by how often you practice. Learn the different notes on a piano, starting with middle C and learn where each note lies. From this learn how to play major chords (play a note, skip a note); then minor chords by flattening the 3rd note in the chord. You can then practice songs you like by just looking up the chords. Following this, learn to read music. Play the melody of a piece in the right hand from a score slowly at first and increase the speed until you are comfortable with playing from treble clef. From here on, you should be able to teach yourself any song/piece with the time and patience. I won't repeat @Alphonso's advice. I think it's good. But, I would like to offer advice about your 'muscle memory' and time concerns. In the beginning you will feel like you are starting all over again with each new song. But you need to go through this process. It doesn't have to be for years, but you must dedicate a length of time appropriate for your goals. How much time? You have to decide this yourself, but maybe you could set a six month goal. Learn 1 song each month. Perhaps you could go for 1 every 3 weeks for a total of 8, or 2 per month for a total of 12. That will depend on the songs, your natural talent, and most importantly how much you practice. Really dedicate yourself to practice every day, even if only for 15 or 20 minutes per day. See how far you get in six months. Only after that can you really assess the level of dedication you want to devote to the piano. Hopefully, you will surprise yourself with how much you can accomplish. I admit up front that I played most of these poorly. (The Gershwin and Bartok pieces are not beginner pieces.) I forgot them all quickly, because I was try to do too much. But, my goal at that time was to prove to myself it was possible for me to play some of my favorite keyboard music. Lately I've been practicing a new regimen of scales and arpeggios, because this is what I think I need to improve now. Maybe you can make your own song list to work through. Set a reasonable goal for yourself, do some amount of scale/chord drills, use good fingerings, and practice everyday. Check your progress after a set period of time. The best way to play pop music is by ear along with knowing some really basic theory. Don't get seduced by other musicians into trying to figure out sheet music, as that mainly helps classical musicians and is a waste of time to someone learning pop, or other easy songs. Understand the difference between melody and harmony. In the piano your right hand is in charge of melody. Your left hand is in charge of harmony (aka chords). The melody in this video is the singer's voice. Without knowing a thing about music, you can pick out this melody on the piano with your right hand. It may take you a few tries, but it's a skill you develop and each song it gets easier and easier. The melody you picked indicates what key you're in based on what notes it uses. So in order to play the left hand you just need to figure out what chords go with this key, and pick the chords that sounds the best to you. There's only 7 chords in a key so it's not hard. These are called the diatonic chords. But you will need to do a bit of research to figure out how to get these diatonic chords from whatever key you're in. 2) 'Implementation' meaning how you actually go about playing it. So your question is about a bit of both. If going back to basics, I have found that the best way to learn to pay a song is to listen to it, and find it on the instrument. It's on there somewhere- all of it ! you just have to find it, even if it's just some basic notes, one at a time, that fit with the tune. Play along to the original (as you're learning piano, pehaps use headphones so that you can hear the original tune over your own playing). Then look it up -perhaps google & find a web page with the chords listed. If you dont know how to play the chords, no worries- more web research will quickly show you how. It'll feel like horribly slow progress at first while you get to grips with each chord, but one brilliant thing about learinng music is that it builds on itself and all skills become re-usable elsewhere. Concentrate on a part of the song, get it right, then move on - it's important to hear back the song in what you're paying (rather than just a disjointed noise which it might be at first), so there's good reward in making a certain part, eg a verse. Work at a basic level, even if it's super-slow or a bit uncertain) before you get to grips with the next bit. Once you've had a crack at all the parts, glue it all together and keep playing the song all the way through, even if you make a horrible mistake. That way you play all the parts everytime, easy and difficult. 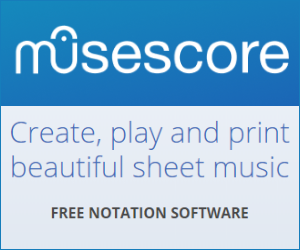 Notice that there's precious little here about music notation. That's because music notation doesn't make music. You playing does :-) So the real answer is just to play ! What will happen is that as you learn basic chords for the song, you'll start to see how they fit toigether and will notice that two chords might be the same (eg A and B) just 'moved about' a bit. This is the beginning of the music theory making itself apparent. Regarding muscle memory: I think it doens't quite work how you anticipate: Muscle memory will help you repeatedly play chords because youre hands will naturally land on the right keys for a given chords. However when you're playing another song, perhaps using a chord whcih is in "close to you", the context of the same chord is often different enough for it not to feel associated. Is it possible to learn advanced piano technique from the book alone? Best way to learn piano sheet music?